Promoting best practice in construction. The main aims of the Centre of Excellence are to provide opportunities in Temporary Works and Construction Method Engineering, with a postgraduate course available and targeted research projects with direct industry involvement. The Centre of Excellence comprises a large number of academic staff across engineering disciplines who are committed to addressing industry challenges associated with construction processes. This groups has many years of experience in providing insight into practical problems and have access to state-of-the-art testing facilities that allow exploration into simple and complex problems. The main aim of the Centre of Excellence is to undertake research that will support the Temporary Works Forum (TWf) in driving “long-term change and waste reduction in the way we construct”. 1. Safety of Working Platforms for Tracked Plant Formed from Construction Demolition Waste. The key design criterion for working platform design is whether it can safely support the application of an extremely high monotonic load applied eccentrically through the tracks of plant. Thus, the design criterion is stability. The BRE guide idealises this load case as load acting over an equivalent area, rectangular in plan, which lies on layered ground. The depth of the upper layer, the working platform, is determined by assuming a punch through failure mechanism in this layer and conventional bearing capacity failure in the subgrade. Designers following this method then need to determine the appropriate angle of friction to be used in the calculation of the resistance of the platform material (construction demolition waste) to punching failure. The aim of this approach is to provide a conservative design method given that insufficient data exists. This research is being carried out by Greta Tanghetti under the supervision of Dr Richard Goodey. 2. The strength and stability of steel reinforcement cages in their temporary state. The contributing strength of a steel reinforcement cage to that of a reinforced concrete column, beam, slab or wall is well understood. However, the strength and stability of that same cage during its assembly, handling and whilst lifting into position prior concreting is not. Whilst a number of guidance documents exist for industry to consult, they contain no real guidance for their technical assessment. This poor understanding of the behaviour of these highly flexible structures, coupled with changing industrial practices involved with their construction, means that there continues to be accidents from stability collapses and tie failures during the temporary state. The aim of the project is to establish the strength and stability of reinforcement cages in their temporary state to make suitable recommendations and assessment methodologies to improve industry guidance and best practice leading to a safer construction environment. This research is being carried out by Konstantinos Kalfas under the supervision of Dr Brett McKinley. If you are interested in contributing to either of these projects please contact the Director of the Centre of Excellence Dr Andrew McNamara. We have access to an array of recently refurbished facilities, including exceptional laboratories. The Geotechnical Centrifuge Facility is the centrepiece of the Civil Engineering Laboratory which also accommodates a large flexible laboratory space used for centrifuge model preparation, model testing at 1g, concrete testing and teaching. 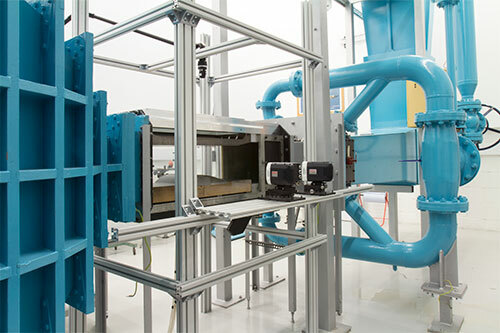 Adjacent to this are concrete mixing and casting facilities, a temperature-controlled soil element testing laboratory and a concrete durability laboratory. In addition we have access to a Strong Floor and loading frames including new strong-wall being developed for lateral loading of column and tall structures. 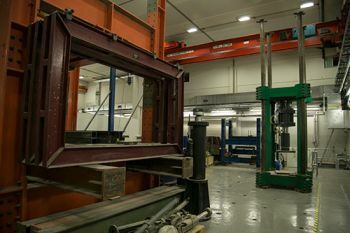 This particular facility has seen £800K investment in equipment for teaching and research including high flow computer controlled hydraulic loading for static, cyclic and dynamic & hybrid testing with ring-main, static compression up to 12MN and 50kN tension testing for steel materials. All meetings begin at 14:00, with sandwiches beforehand and refreshments during. Meetings are broadcast to Glasgow Caledonian University, Scotland from City, University of London. For more information please see the Temporary Works Forum (TWf) website. Our new MSc degree, the first and only of its kind in the UK, provides a specialist qualification for those involved in the design and construction of temporary works and addresses industry need for such a professional qualification. 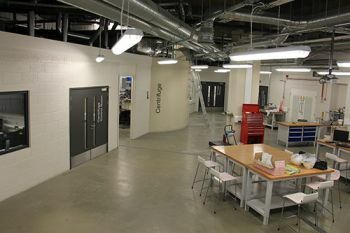 The Temporary Works Forum (TWf), which promotes best practice within the UK construction industry*, has designated City, University of London as a Centre of Excellence in Temporary Works and Construction Method Engineering and collaborated in the development and delivery of this new masters. For more information on our MSc degree please see our Post-graduate courses page or contact the Director of the Centre of Excellence Dr Andrew McNamara. The first cohort of students on the new MSc Temporary Works and Construction Method Engineering with Bill Hewlett, former chairman of the Temporary Works Forum and Andrew McNamara, programme director and director of the Centre of Excellence for Temporary Works and Construction Method Engineering.